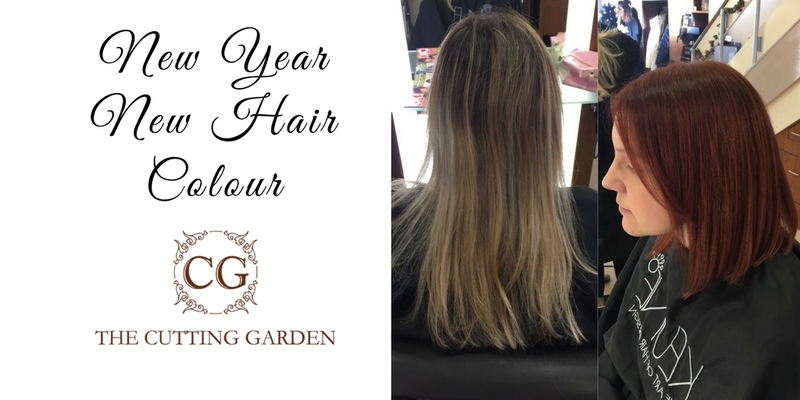 At the beginning of the year, getting back to normal can seem very dull, so why not brighten your mood with a new hair colour for 2017? A new image will give you a new attitude and there are plenty of colours and looks to choose from, some subtle and some dramatic. The Cutting Garden has some incredibly experienced and skillful colour stylists, who know how to get the very best from each product. The Cutting Garden is the best salon in Plymouth to get your new hair colour. So which colours and styles are hottest for 2017? An Ombre look is a contrast between two colours, where the roots are darker and then the rest of the hair gradually gets lighter as it goes down. 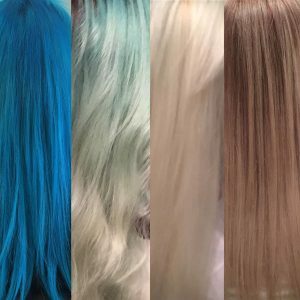 The look generally works by keeping your own natural hair colour at the roots and then having a lighter colour applied with a graduation from roots to ends. It’s a style that isn’t brand new but looks set to retain it’s popularity well into 2017. The Sombre is a variation of the Ombre look but with a softer join. The effect is more subtle than the Ombre, with less contrast between the colours. This look is more natural so your hair should just look slightly lighter at the ends. 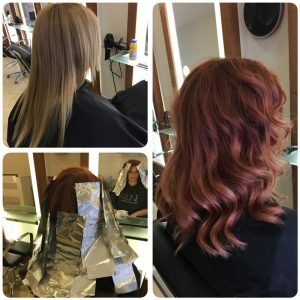 Balayage is a technique of applying hair colour that is becoming more and more popular. Instead of foil highlights, Balayage is colour applied from a board onto the hair. The French word balayage itself means ‘sweep’ so that is a visual guide to how the colours appear where the beginning and end of the highs and lows of colour cannot be seen. The look can be similar to Ombre and Sombre, but with a more freehand application of colour. This look is very popular because it requires little upkeep and many shades of colour can be used. A stunning look for 2017. Compared to Balayage, the Dip Dye is much simpler but can be very dramatic. A Dip Dye is where colour is applied just to the tips of your hair, like dipping the ends of your hair into a pot of paint. The contrast is very noticeable and dramatic. Ask our stylists for a Dip Dye if you want to turn heads this year. 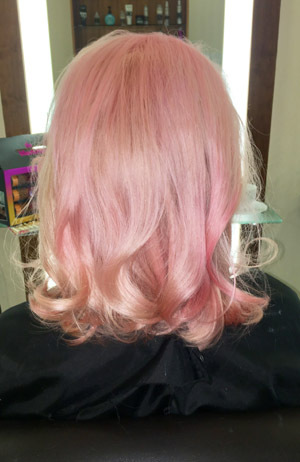 Striking pink pastel hair colour by our stylist Leah. A variation on the Rainbow look, ice cream shades are more subtle and look particularly good on blondes. From pale pinks, lavender, peach, rose gold, or even mint, Pastel Hair is a great way to have a new look for 2017. Like Rainbow hair, the colour can be applied in many ways, such as the Balayage, Ombre, or Sombre techniques. For long lasting colour, your hair may need to be lightened first, but ask our stylists about your particular hair when you come in. Grey hair is very much on trend for 2017. You can go all the way with a solid grey colour or work a bit of grey Balayage through your hair. For a more subtle look, have the colour applied through the mid lengths and ends of your hair, so that your natural hair shade will show through. Shades can vary from solid grey, lavender grey, to smoky lilac. You could also combine the grey and rainbow hair trends with a grey-pink Ombre look. Despite the slightly dull name, Grey colouring can be super stunning when applied skillfully. Banish the Winter blues with a stunning new colour for your hair. I can’t think of a better way to start the year than with an eye-catching new colour. What are you waiting for? Come and get your new look for 2017.